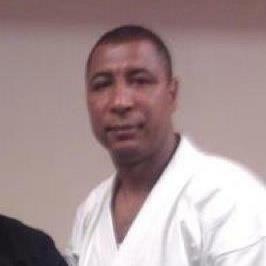 André Mota is the head instructor at Shotokan Club Karate-Dô – Brockton. Our facility is located in Brockton, MA. Our staff has the confidence and belief that anyone can succeed in any of our programs while having a lot of fun doing so. Students will achieve many different skills and techniques and will feel a sense of accomplishment. Shotokan Club Karate-Dô is committed to providing the highest quality training available and is proud to say that we will give a positive learning environment in which individuals of all ages can benefit from. No matter what abilities you may have, we guarantee you will be treated with common courtesy and recognition. We strive for our student’s happiness and we do everything in our power to make sure they are learning, building endurance, and having a great time. Our School specializes in Karate – Shotokan and Shito-Ryu and Self Defense. We offer outstanding instruction and training for men, women, and children. Our program believes in always having a friendly mind set for both newcomers, and those returning to the program. Whether you are a serious competitor or just in it for fun, we have something for you. Our staff is well qualified and will become role models to their students. Individuals that become part of our training program will have the opportunity to learn from some of the greatest masters in the field. People choose to train here at Shotokan Club Kafrate-Dô because we provide a non-intimidating, safe and clean environment in which allows an individual to fully get the most out of our program. Our training programs are comprehensive and balanced, offering students the ability to learn technique, strength, confidence, and self-defense. At Shotokan Club Karate-Dô we believe that all of our programs should be serious but fun at the same time. We want our students to feel comfortable in class, and to really get the most out of their time spent here. Our students will train, progress, and achieve here at Shotokan Club Karate-Dô in Brockton, MA.